Since going vegan I have had to make and adjust recipes to fit our new lifestyle. Something have turned out while others were better left to the imagination. 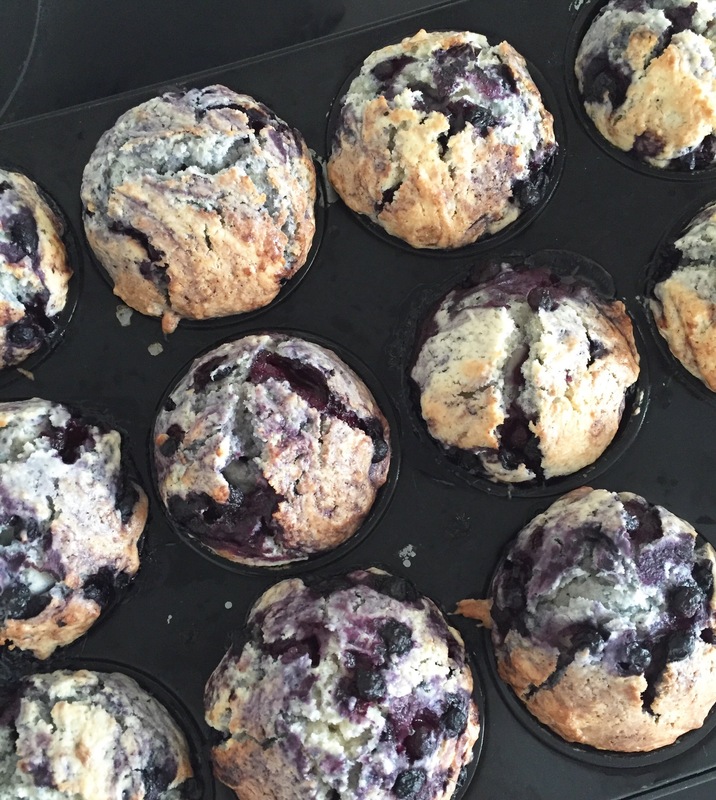 These muffins are definitely one for the books! I make them for snacks, when people are coming to visit or when we visit others, for my husband to eat on the go and anytime I feel like it. They are amazing and everyone who has eaten them is always surprised that they are vegan. Preheat your oven to 180 degrees. Either grease or line cupcake tray. Combine flour, sugar, and baking powder in a large bowl. In a seperate bowl combine coconut milk and oil. Add liquid mixture to the dry mixture and once combined fold in bueberries. Fill the cupcake tray 2/3 full and bake for 20 minutes, or until very slightly golden. Did I mention they are absolutely delicious and super simple. I mentionned earlier in the year that there were soeme big things coming for the blog, if recipes is your thing, you will want to follow along to see what’s in store for early 2017!